Confidential Registered Counsellor Psychotherapist. Near Shepherd's Bush , London Bridge. Individual, couples. In person, online or telephone. Got an alcoholic mother or alcoholic father? Were you raised by alcoholic parents? Hi! My name is Flavio Cernotta. I have been affected by this condition myself and managed to heal with the help of therapy. 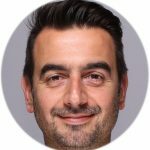 I am a children of alcoholics therapist/counsellor with many years of experience helping children of alcoholics overcome the effects of being raised by an alcoholic mother or alcoholic father. Fully qualified, BACP registered and happy to help you! Can you recognise yourself in any of the above statements or questions? Are you unsure whether or not they apply to you? Take yourself to a safe space and read those statements aloud and notice what it feels like to hear those words. You may want to look in a mirror if you wish. If you recognise yourself in a significant number of these statements than chances are that you are affected by a condition known as “adult children of alcoholics” (adult child of addicts) or “adult child of dysfunctional families”. These statements are adapted from the 13 characteristics of adult children of alcoholics as defined by Dr Janet Woititiz. Another exercise is to list specific examples for each statement. I have found that using examples makes the exercise more real and has helped stop the denial I have felt. 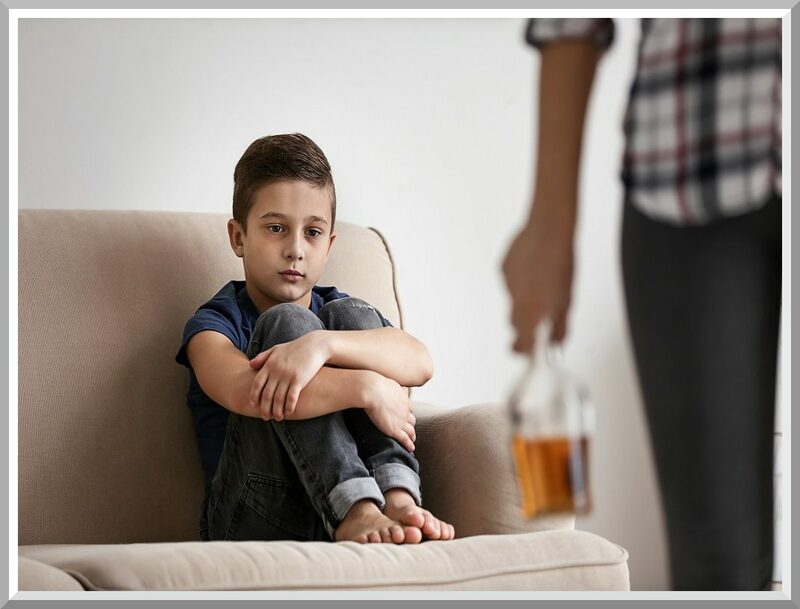 Children of alcoholics or addicts are often referred to as adult children because they are forced to step into an adult role at a very early age. The reason for this is that they are unconsciously recruited by their parents into maintaining a dysfunctional family system. This means that their childhood revolves around the needs of the addicted family member and those who collude with him or her. In a healthy family, adults will look after the needs of children. However, in a dysfunctional family, the roles are reversed and the child is coerced into accommodating the needs of the adult. As the roles are reversed the child’s developmental dependency needs are not satisfied. This means that the child will grow into an adult who continues to experience all of the unmet needs of his childhood. The family of adult children of alcoholics is shaped by the unpredictable, abusive, violent, manipulative, disruptive and neglecting behaviour of an alcoholic mother or alcoholic father. These behaviours are brought on by the misuse of alcohol. This toxic substance loosens inhibitions and allows for repressed emotions and misbehaviour to emerge. Alcoholic parents exhibit these behaviours because often they have themselves experienced neglect, instability and abuse whilst growing up. 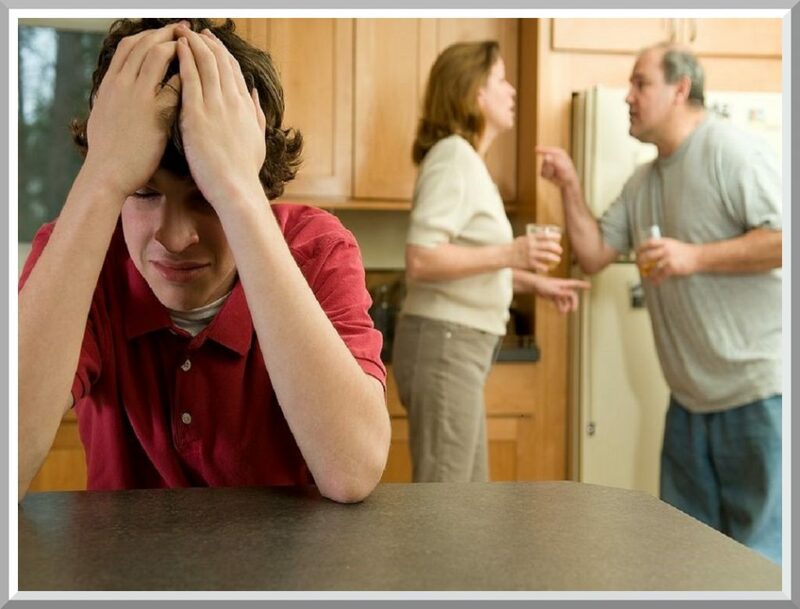 However, dysfunctional behaviours can also be displayed by the non addicted parent or an older sibling as they seek to collude with the alcoholic family member in order to keep the family going. Relentless tension is another key a trait of a family of alcoholics but often goes unnoticed at the time because everyone is used to it. One day, during my counselling sessions in my early thirties I recalled how different it felt to sleep over at the home of family friends. Getting up to got to the bathroom at night felt very safe and relaxed. The wife of my father’s friend knew I was scared of the dark and had even given me a torch to help me find my way to the toilet. In many ways she showed care and concern in a way that my mother wasn’t able to. Not because she was incapable of love but because her attention was focused on pleasing and placating my father’s alcohol fuelled temper. The same visit to the bathroom at home was very different: it felt dark and unsafe. I would walk to the bathroom constantly feeling on guard as if I feared meeting a stranger who could harm me. It is because of this constant tension, fear neglected and instability that children of alcoholics learn a range of behaviours in the attempt to manage the chaos that surrounds them and the overwhelming feelings they experience. Freezing or Repressing feelings: In an alcoholic family the only feelings allowed are often the anger, sometimes rage, of the alcoholic father or alcoholic mother as well as their anxiety. The sadness which constantly lingers in the background, is often disregarded but is equally toxic. As it is impossible for a child to change or leave the family they are in, the only thing they can do is to cut themselves off emotionally by repressing or burying their feelings in order to avoid being swamped. 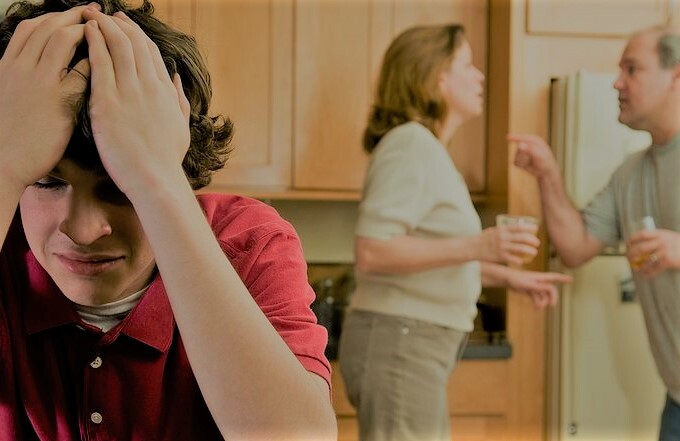 Usually parents will set children up to disregard feelings by pretending that everything is going well and by minimising outburst of anger of the alcoholic family member. This attitude invalidates the child’s feeling who will soon learn to bury his own feelings of terror and anxiety. Exerting control: The fear of unpredictability stays with a child of alcoholic parents long after they have stopped living with their alcoholic mother or father. To counter this fear children of alcoholics will try hard to be in to control. Whilst growing up they might stop their alcoholic parents fighting, look after their alcoholic mother or care for a sibling, for example. Later in life they will repeat these patterns at work and intimate relationships by rescuing and taking care of people around them. People on the outside may start resenting this behaviour but to a child of alcoholic parents, this is a very effective way to counter the vulnerability they feel when faced with an unpredictable situation. This fear of vulnerability is what makes it very hard for children of alcoholic parents to commit to intimate relationships as it is important to surrender a certain level of control risk being hurt in order to love another person. Don’t feel, Don’t talk, Don’t trust: Differences of opinions turn into fights and feelings make people upset or cause them to over react so it is best to become invisible and avoid drawing attention particularly from the alcoholic parent. Who can you possible trust in this emotional and psychological minefield? Nobody! So it is best to learn not to trust anyone, say little or nothing and pretend that you are not upset or angry – indifference to any emotion, feeling or reaction is the best way to avoid being affected. In my experience, dysfunctional behaviours might also be adopted by relatives. Grand parents or aunts might normalise the abusive behaviour by telling the child how it was normal for them to get beaten by their own parent. Authority figures in the community can also become part of the dysfunctional relationship system that the child is exposed to. An example of this is an authoritarian and co-dependent teacher whom the dysfunctional parents might regard as a model of discipline. The parent and teacher form an alliance, which mirrors the dysfunctional family system. As a result, the child is exposed to further abuse as the teacher uses manipulation and violence on the pretence of imparting discipline. Parents of a healthy family on the other hand, would recognise the teacher’s behaviour as unhealthy and step in to protect the child. As adult children of alcoholics are repeatedly exposed to violence and abuse, they grow up experiencing lack of stability, disruption and unpredictability. As these are internalised adult children of alcoholics will grow up craving control in order to compensate for these feelings of instability. Repeatedly experiencing disruption means that an adult child will later struggle to complete projects. Others will feel a lack of direction in life and seek constant guidance in an attempt to experience the continuity that they lacked at home. Adult children of alcoholics are frequently flooded with overwhelming stress, terror, sadness and shame as they are subjected to dysfunctional behaviour. In order to survive, they learn to shut off their feelings. They also become people pleasers in the hope that they can keep the peace in the family and prevent their dysfunctional parents from abusing them. In a home dominated by fear and stress, there is little room for feeling carefree and joyful. As such, adult children of alcoholics will often become overly serious and super responsible adults who struggle to have fun. Adult children of alcoholics will try hard to comply with unreasonable expectations. A young girl might be expected to become mother to her siblings or a wife to her father in order to compensate for her drunken mother. As they learn to accommodate the needs of others, adult children of alcoholics forgo the opportunity to learn how to look after their own emotional needs. Because they experience little love and affection, they are very unlikely to learn what it means to be in a safe and loving relationship. This means that, as adults, they will often struggle with intimate relationships. I am the child of an alcoholic, but 45 years old. I am looking for some help to deal with this. Can you recommend someone in the Berkshire/ Oxfordshire, preferably somewhere between Henley and Newbury please who I could speak to? thanks for your post. I have replied to you privately by using the email address provided. Thanks for your comments and enquiries. I have replied to you directly in private by using the email you provided. Hello, I have found your website today and I would like to know what treatment of the syndrome do you offer? I am a 39 yr old female struggling almost all her life with that burden. Also, I am a mum to a 2 yr old. thanks for your enquiry. So sorry to hear about your struggle. I have replied to you privately, by using the email provided.